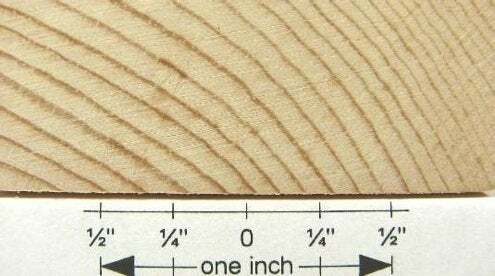 As you may recall from science class as a kid, wood is a collection of fibers that run in the same direction. Basically, it’s a collection of the tree’s xylum, all stacked up next to and on top of each other, like a bunch of drinking straws arranged in a grid pattern. So the side grain of wood represents the side sections of these fibers, whereas the end grain represents their ends. And just like the drinking straws, when applying liquids like stain or oil finishes (or even glue) to wood, the different sections of the grain absorb the liquid differently, often resulting in a different color on the side and end grain. Fortunately, there’s an (easy) extra step you can take to guarantee even color and tone anywhere on the wood. Simply sand the end and edge grains to one higher grit than the side grain. 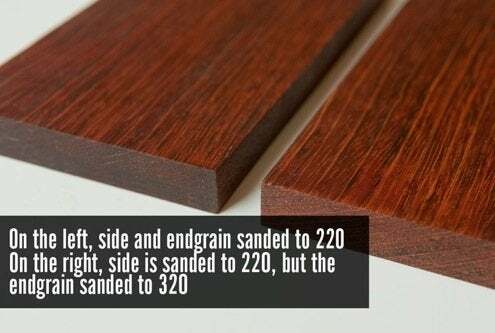 So if you sand the side grain to 150, sand the end grain to 220; if the side is 220, the end and edge grains should be 320 and so forth. This makes the uniform roughness (which is really what sandpaper accomplishes) of the end grain smaller, where it soaks up less finish. Try it on your next project. You’ll be amazed.